Many businesses and organizations have been adapting to the rapid pace of information technology and cybersecurity. These advancements create new opportunities as well as security risks for the organizations that use them. As a result of these changing systems, a workforce gap has emerged for many organizations in cybersecurity. IT professionals are often assigned to the task of securing an organization’s network, but without formal or specialized training this can prove to be fruitless. This section will explore the growing workforce gap in cybersecurity, the top challenges facing a prospective cybersecurity career, and the importance of live training in an online environment. 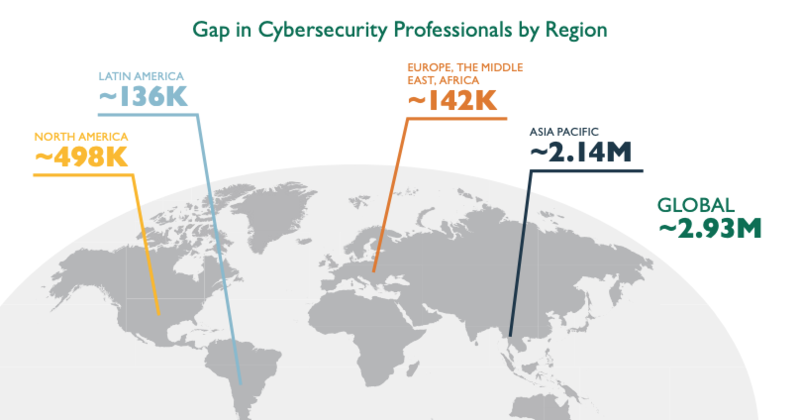 Organizations across the world are confronted with the risks created by this cybersecurity workforce gap. Every department in an organization is affected by the cybersecurity gap, and many departments carry critical data for the organization. For example, an accounting department at a finance company may not deal with cybersecurity on a daily basis, but the cybersecurity workforce gap can create vulnerabilities in their department. By securing organizations with trained cybersecurity professionals, we can assure the safety of critical assets on the network. Due to the online, interconnected nature of modern institutions, it’s important to secure data for organizations that are not primarily focused on technology. What are the main challenges of finding a career in cybersecurity? The most difficult aspects of a career in cybersecurity can be boiled down to three elements: knowledge, cost, and experience. For one, it’s important to know the career paths available to cybersecurity professionals. These include penetration testing, vulnerability analysis, security administration, computer forensics, and many others. Second, there is a lack of organizational knowledge on cybersecurity skills. The cost of cybersecurity training comes from formal training and certification exams. These courses provide valuable career skills and certification in exchange for a formal fee. Lastly, cybersecurity professionals need to secure job experience in cybersecurity roles to progress their career. These are the primary challenges facing professional progress in a cybersecurity career. There are many resources available online for professional training in cybersecurity. Many groups provide live, online training as well as study material and offline modules for study. Cybrary provides free training for prospective cybersecurity professionals, and many certifications offer exams on their official sites. The importance of live training is in the student’s ability to test their skills and knowledge in a realistic situation. Online training provides labs and other interactive learning experiences for those seeking professional training in cybersecurity. In short, the growing workforce gap in cybersecurity necessitates the demand of more cybersecurity professionals. 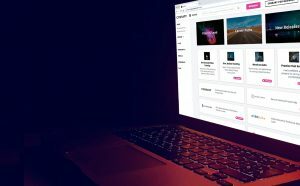 As modern organizations rely more and more on computers and online networks, cybersecurity professionals are sought out to secure critical data. Even organizations without a focus on technology need cybersecurity professionals to protect their data from malicious attacks and security breaches. Knowledge, cost, and experience are all challenges facing a prospective cybersecurity professional, and online resources provide a wealth of training and learning opportunities. Closing this gap requires the training and deployment of cybersecurity professionals in organizations across the world. TL;DR The cybersecurity workforce gap is growing as more organizations rely on advanced technology. Professional training and certification provide valuable cybersecurity skills to organizations that may not be secured or rely on information technology professionals to secure their data. Explore more about the workforce gap, professional challenges, and online training opportunities in the below references.